This content is provided by Gerrit-Jan Zwenne. 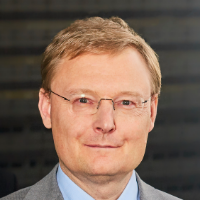 Gerrit-Jan is an expert in the field of privacy and data protection law. He also has extensive experience in the field of internet and telecom law. Gerrit-Jan advises multinationals, start ups, regulators and many governments on digitalisation. Gerrit-Jan is also professor of law at Leiden University. He regurarly publish articles, including for the Dutch Lawyers Association, the Association for Health Law and the Association for Educational Law.